Upgraded with (2) sofas with pull out beds. Currently, an added sofa is installed at dining table located adjacent to the refrigerator. Existing table and chairs are available. (2) new and updated recliner chairs. (2) house battery system. Solar ready. Pre-plumbed for washer dryer combo; appliance not included. Has air ride hitch with pin. (3) Propane tanks on pull-out rack. Patio awning with LED lighting. The seller had purchased ( $800 value) and professionally had applied PermaPate exterior coating to protect the color and finish with a 5yr warranty. 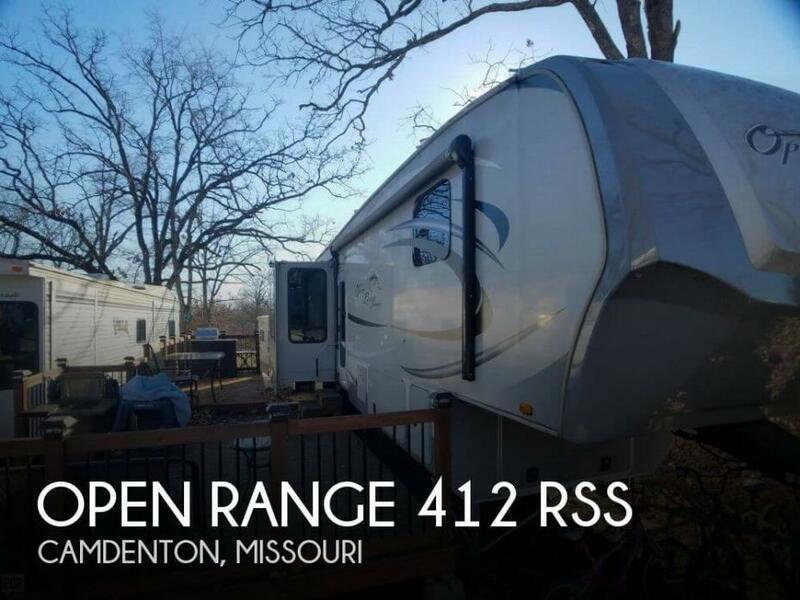 Stock #171383 FULLY LOADED...RESIDENTIAL REFRIG WITH ICE AND WATER IN DOOR....HUGE PANTRY...AND KITCHEN...KING BED...FIREPLACE...2 FLAT SCREEN TV'S...TONS OF STORAG If you are in the market for a fifth wheel, look no further than this 2016 Open Range 388RKS, priced right at $49,500. This Fifth Wheel is located in Winchester, California and is in great condition. Reason for selling is buying a motorhome. This fifth wheel RV is in good condition just needing a little TLC. All interior flooring, carpet, vinyl appears to be in good condition with normal wear. All interior furniture also looks to be in good condition. Kitchen appliances, countertops are in good condition. Two tires are original and two tires were replaced about a year ago. Stock #171148 Very well maintained Open Range Roamer 337RLS fifth wheel! If you are in the market for a fifth wheel, look no further than this 2014 Roamer 337RLS, priced right at $22,750. This Fifth Wheel is located in Witchita, Kansas and is in decent condition. Reason for selling is not traveiling any more.. This well kept fifth wheel has been kept out of the weather its whole life and is in great working condition as reported by the owner. Yet all our offers are contingent on inspection so that you can confirm for yourself! Stock #172975 Very nice and well maintained 2015 Open Range Roamer 337RLS! Ready to hit the road! 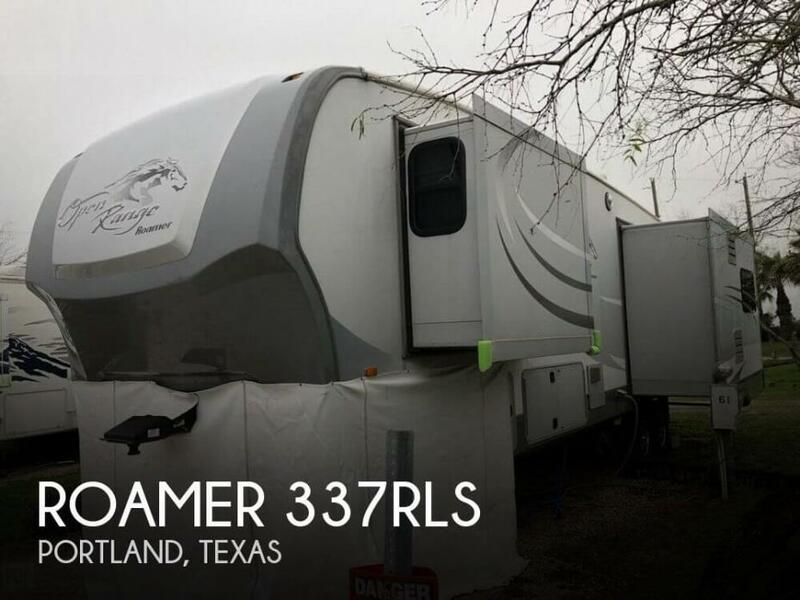 If you are in the market for a fifth wheel, look no further than this 2015 Roamer Open Range Roamer 337RLS, priced right at $33,400. 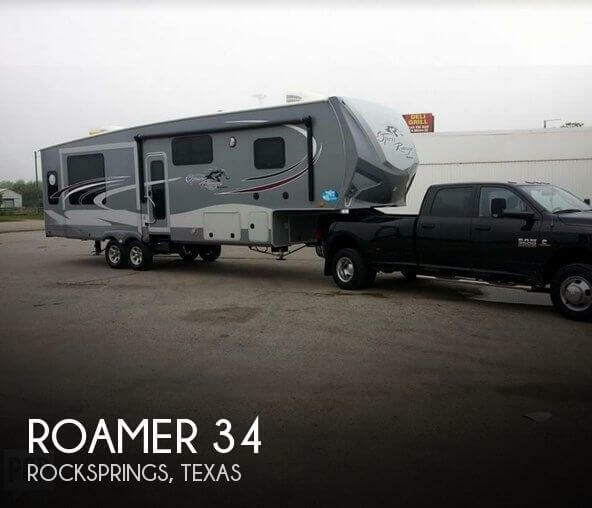 This Fifth Wheel is located in Rocksprings, Texas and is in great condition. As you would expect from a unit with under 1000 road miles, the interior woodwork, upholstery, carpeting, and fixtures are extremely clean and show very little wear. The exterior is clean, and the roof is solid. Stock #163305 Light 308bhs By Open Ridge with three slide outs. OUTDOOR KITCHEN! Less than 1,000 road miles! 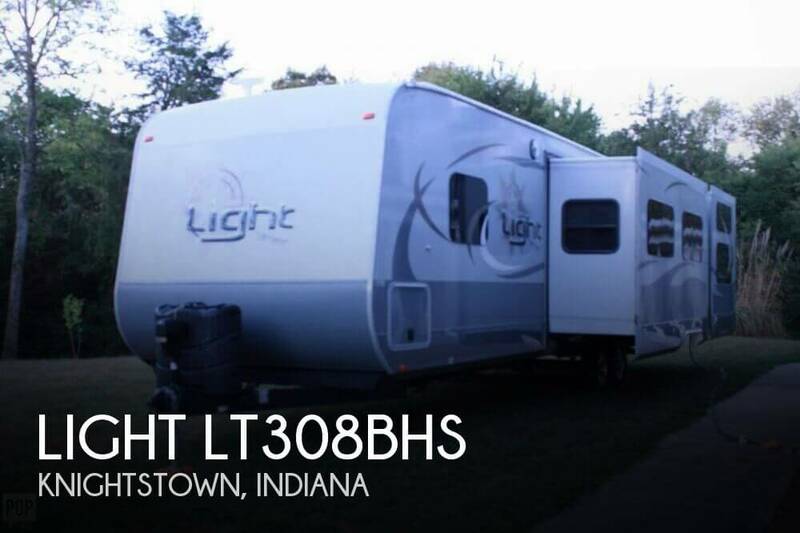 If you are in the market for a travel trailer, look no further than this 2015 Light LT308BHS, just reduced to $28,900. This Travel Trailer is located in Knightstown, Indiana and is in great condition. Reason for selling is no time to use. EVERYTHING WORKS AND IN GOOD SHAPE. GOT TO COME AND SEE IT! Stock #166946 Outside kitchen, 10 gallon water heater, bunk room, 15k BTU ac, lots of storage If you are in the market for a fifth wheel, look no further than this 2013 Open Range 34, priced right at $25,000. 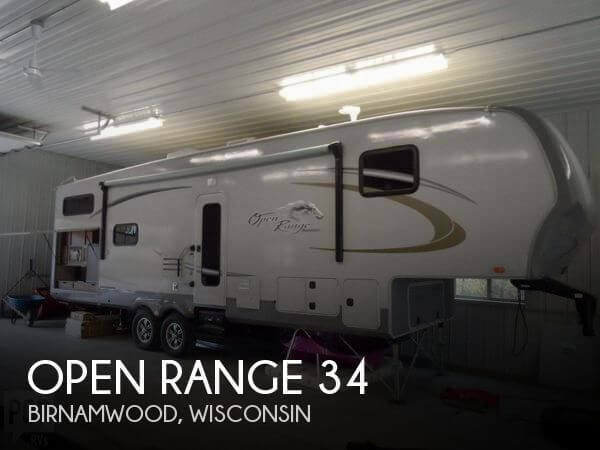 This Fifth Wheel is located in Birnamwood, Wisconsin and is in great condition. Reason for selling is not using it anymore.. The interior and exterior of the unit are in very good condition. The unit is wired for solar; the tongue has a power jack, there are docking lights in the front and at the docking station. The trailer has been towed one time, the tires appear to be new, and the hitch is equipped for a stabilizer. There is a mount for a BBQ on the rear bumper and a mini fridge with access at the rear of the unit. 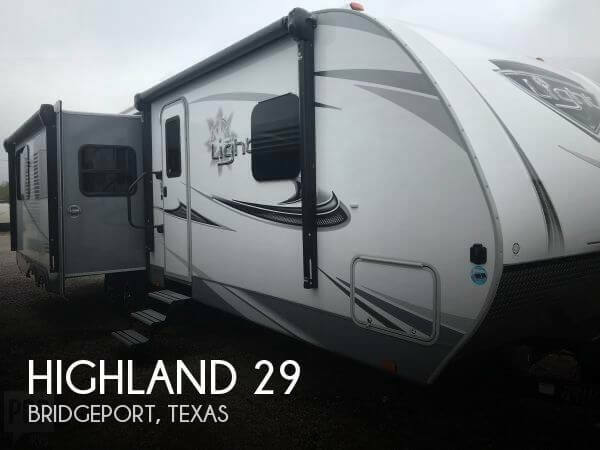 Stock #166079 Like new and well maintained 2018 Highland Ridge Open Range Ultralite! Ready to hit the road! 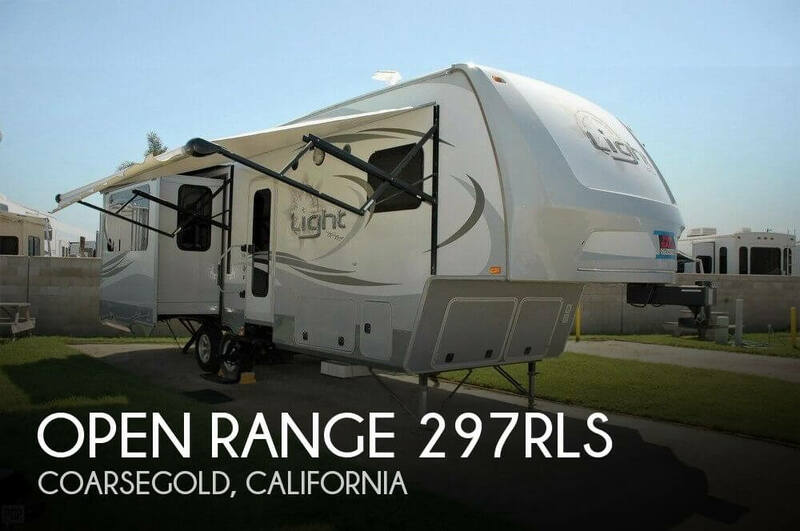 If you are in the market for a travel trailer, look no further than this 2018 Open Range UT2410RL, just reduced to $24,000. This Travel Trailer is located in Wimberley, Texas and is in great condition. Reason for selling is do not get to use the trailer as planned. Everything in this unit is well maintained and functions as expected. Owners state that they are meticulous about keeping everything up, and if anything seems questionable at all, they replace it. Owners stay here for short periods when visiting their children. This unit has not moved since it reached this location. Plumbing is set up as permanent, but all flex hosing is also in the storage compartment in the unit and goes with the new buyer. Stock #171109 Excellent Condition. Plenty of Room and Storage. Ready for the road. 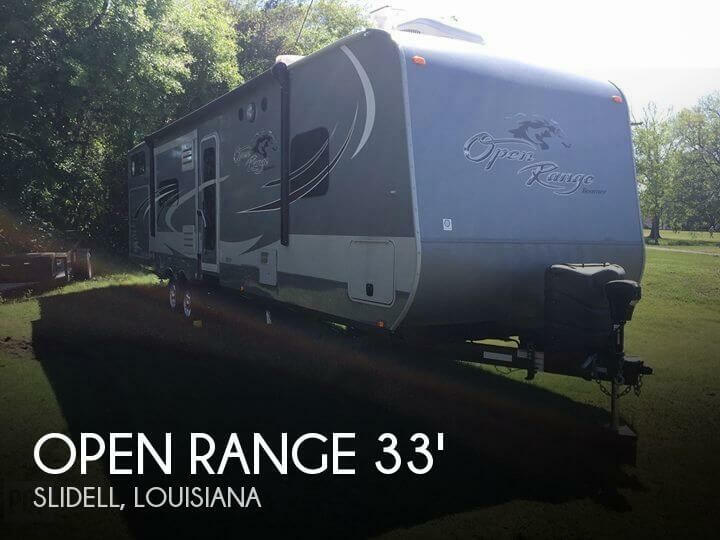 If you are in the market for a fifth wheel, look no further than this 2014 Open Range 388RKS, priced right at $36,700. This Fifth Wheel is located in Arcadia, Florida and is in great condition. Reason for selling is not using enough. FOUR SEASONS PACKAGE: High performance furnace, digital thermostats, double insulated baggage doors, heated & enclosed dump valves & underbelly, insulated slide floors, R-38 insulation in roof & floor, R-9 in sidewalls. CONSTRUCTION: https://www.highlandridgerv.com/products/2016/roamer/construction/ Stock #119625 Still has the new unit smell! The floorplan maximizes space and is thoughtfully laid out with a large family in mind. 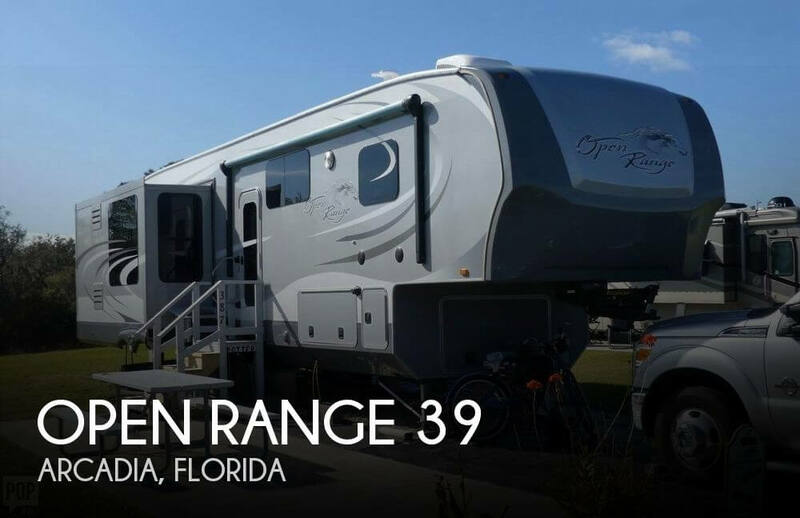 If you are in the market for a travel trailer, look no further than this 2016 Open Range 31' RT310 BHS, priced right at $42,500. This Travel Trailer is located in Slidell, Louisiana and is in great condition. Reason for selling is switch to 5th-wheel. The unit is nearly new.........no pics....no owner caused faults. This unit is ready to be viewed.......seller is flexible and wants t make a deal. The twin A/C units keep this RV comfortably cool even during the hottest Texas summers! Stock #174087 Gorgeous & just like NEW! Includes Fireplace & heated chairs! 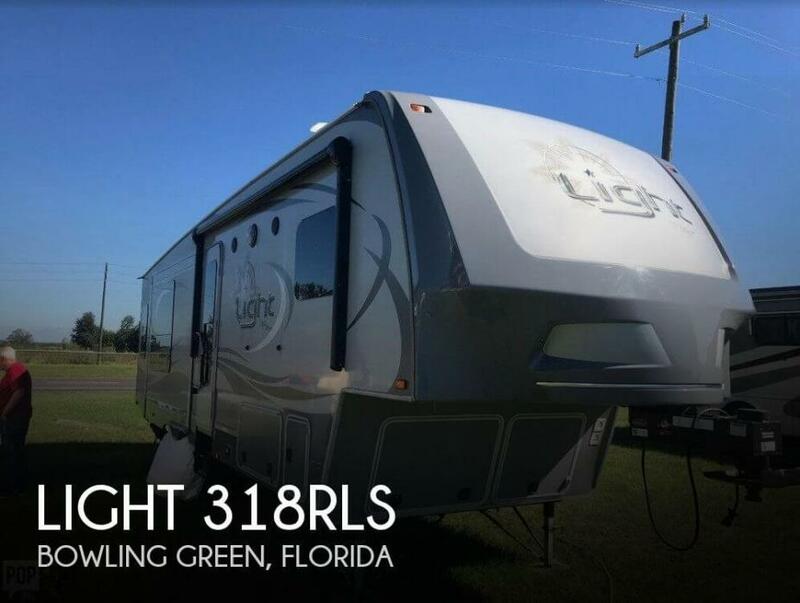 If you are in the market for a travel trailer, look no further than this 2018 Light LT291RLS, priced right at $30,600. This Travel Trailer is located in Bridgeport, Texas and is in great condition. Reason for selling is no longer using. This 2014 Open Range 29RLS is in very good condition, both cosmetically and mechanically. Tires are less than a year old, all service has been completed on schedule and everything appeared to be in good working order. 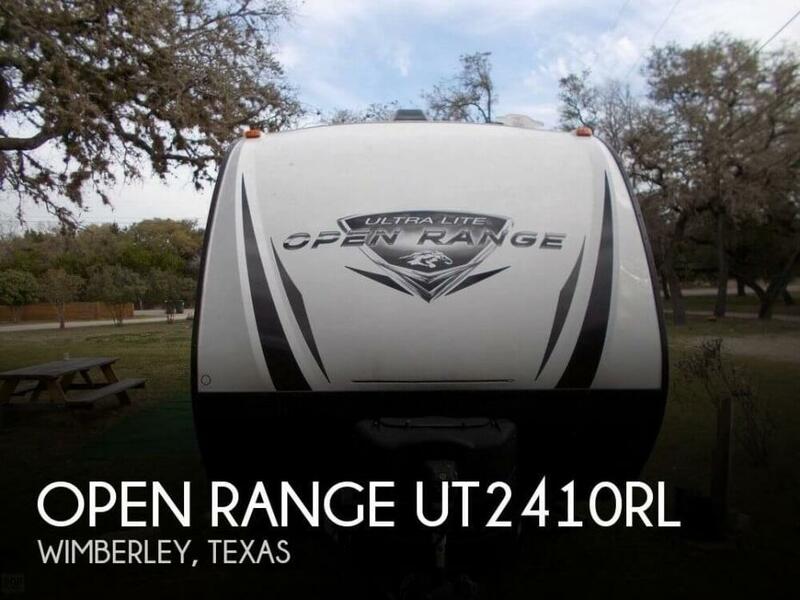 Stock #173762 2014 Open Range Light , Amazing Fifth wheel RV, 3 Slides and Solar! If you are in the market for a fifth wheel, look no further than this 2014 Open Range 297RLS, priced right at $22,750. 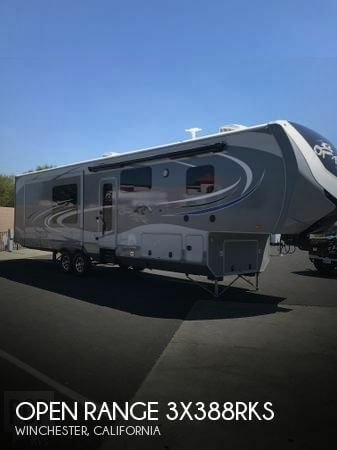 This Fifth Wheel is located in Coarsegold, California and is in great condition. Reason for selling is have another unit. As you can see from the pictures this 2012 Open Range ( by Highland Ridge), 412 RSS has some damage in the flooring in two of the slide. The rest of the unit has normal wear and tear. Per the seller, everything is in good working order. The two slides need a little help sliding in and out on occasion. Stock #167188 ROOM FOR THE WHOLE CREW!!! 3 SLIDES!!! If you are in the market for a fifth wheel, look no further than this 2012 Open Range 412 RSS, just reduced to $22,500. This Fifth Wheel is located in Camdenton, Missouri and is in need of some work. Reason for selling is wanting to buy a plane.. Purchased in 2018 and lightly used, this unit is basically brand new. Purchased in early 2018, it's only been used a handful of times. All systems work perfectly. The tires are in almost like-new condition. Stock #167627 Absolutely New 376 FBH! 5 Slides! 5 Year Warranty And Road Side Warranty = Covers Everything! Island Kitchen! Huge Entertainment Living Room! 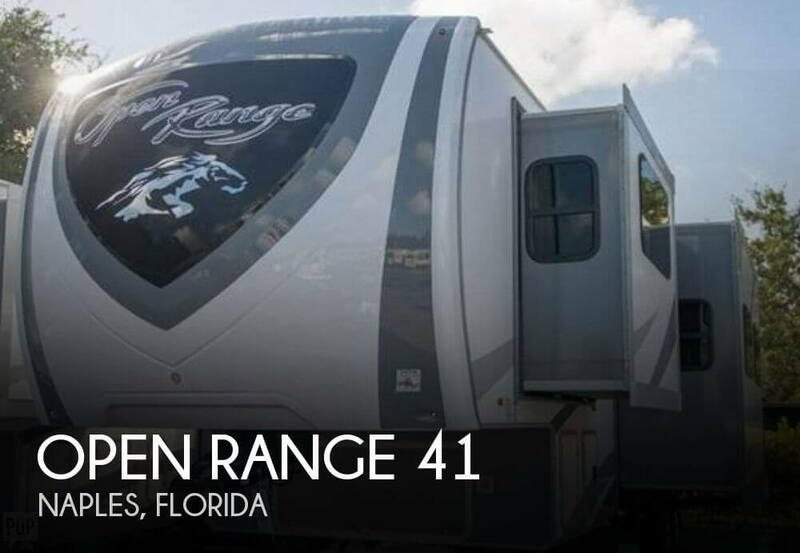 If you are in the market for a fifth wheel, look no further than this 2018 Open Range 376FBH, priced right at $53,900. This Fifth Wheel is located in Naples, Florida and is in great condition. Reason for selling is not using enough. Luxurious and livable, this 2014 fifth wheel can be your vacation home on wheels. This LIGHT 318 is in very good shape and has many extras you are looking for. All systems are functioning precisely as designed. Don't miss this one. Stock #172315 ++ Extremely Clean LIGHT 318RLS -- Generator -- 2 ACs -- Many Extras ++ If you are in the market for a fifth wheel, look no further than this 2014 Light 318RLS, just reduced to $28,000. This Fifth Wheel is located in Cuba, Missouri and is in great condition. Reason for selling is no time for use..
As you can see from the pictures this one owner r 2017 Light 216RBS looks like new. It has hardly been used and per the seller, it has been well maintained. The only reason it is for sale is that the seller does not have time to use. Stock #167322 Very Nice! Like New! Barely Used! Loaded with Options! 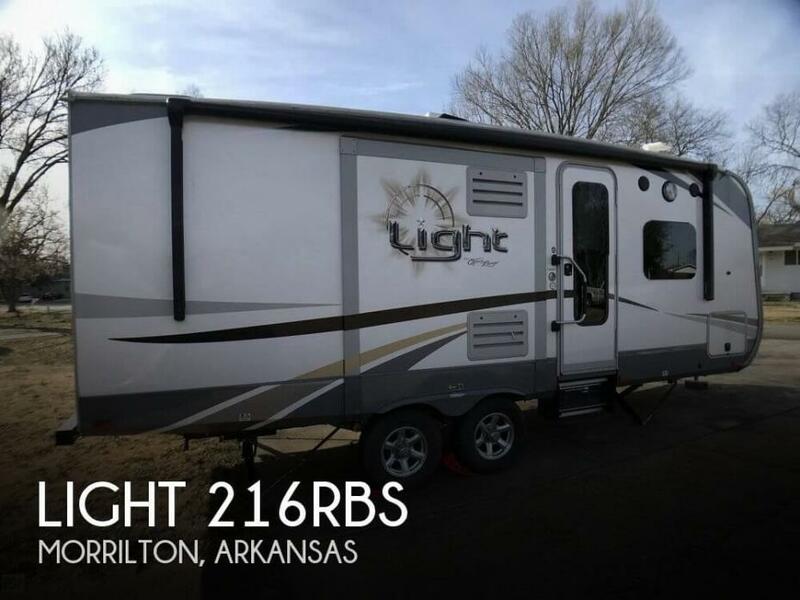 If you are in the market for a travel trailer, look no further than this 2017 Light 216RBS, priced right at $27,000. This Travel Trailer is located in Morrilton, Arkansas and is in good condition. Reason for selling is not enough time to use. This 2016 318RLS has been well taken care of and lightly used. Everything is included that's is the fifth wheel. This one has had tires covered since the seller has owned it All equipment appears to be in great shape and operational per the seller. Stock #165204 Spacious homey and notably outstanding layout and has lots of storage - it is also in excellent condition!!! 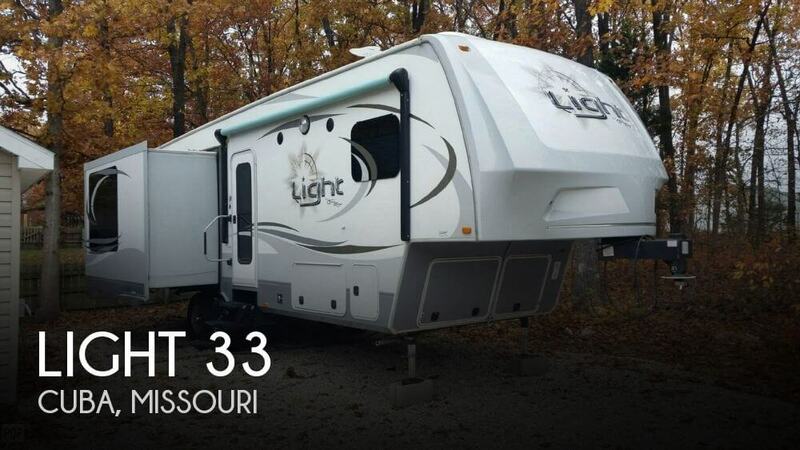 If you are in the market for a fifth wheel, look no further than this 2016 Light 318RLS, priced right at $35,500. This Fifth Wheel is located in Bowling Green, Florida and is in great condition. Reason for selling is too many rvs.